Celebrating its grandest medical feat in the March 2019 Physician Licensure Examination with high standing and astounding esteem, MHAM takes pride of its full time and part time faculty members who were also lauded behind the success of the most recent PLE result released by the Professional Regulation Commission (PRC) last March 14, 2019. Working together for a common goal to become a leading medical institution anchored in excellence with its core to form globally competitive and morally upright medical professionals by 2025, MHAM moves forward by keeping a roster of commitment-bound faculty members who shaped the Matias doctors’ skills required for a solid foundation on the essential elements of the medical profession. Directed to develop holistic medical professionals with the institutions’ three pronged thrusts of instruction, research and community extension programs, MHAM, to date, is composed of (44) full time and one hundred forty-eight (148) part time faculty members responsibly-led by the current college dean, Dr. Ma. Socorro G. Manaloto. As the Doctor of Medicine Program in MHAM gained distinction in the national and international scene, Dr. Manaloto could not contain her gladness after knowing the good news that highlighted MHAM in the latest licensure spotlight. The college dean, who encouraged the Matias examinees to have a very good preparation prior to the exam, shared her insights and sentiments in two separate interviews inside the temporary school campus. Sharing the same frame of mind, happiness and approach with the college registrar and chairperson of the MHAM Scholarship Committee, Dr. Luditha Lumapat-Pe, Dr. Manaloto divulged to CDN’s Digital What’s Up Live interview that the two board placers who topped in the third and fifth slots were already expected knowing that they showed excellence in the portals of MHAM as student-scholars. “I would like to congratulate our topnotchers, to Dr. Panaglima and Dr. Fronda, and most especially to batch ELIXIR. You have given pride to our institution. Thank you, not only to the student-graduates but also to the faculty as one of the essential contributors for this, and we hope to improve for excellence. Actually these students were really exemplary during their student days and it’s actually somehow expected but we are very happy of the results and also the passing rate for this batch. Hopefully this would go on and the college can sustain the success”, said the college dean. Having the hand and knowledge to identify potential topnotchers under their mentorship in medschool, Dr. Manaloto and Dr. Pe stated that the school sustains its commitment to gladly accept college graduates with latin honors without limit on the number of slots aside from its continuous support to financially challenged but deserving students through the MHAM scholarship grants. “For us, we really fought for this, not only helping those with latin honors but also those who are financially challenged”, Dr. Manaloto added. 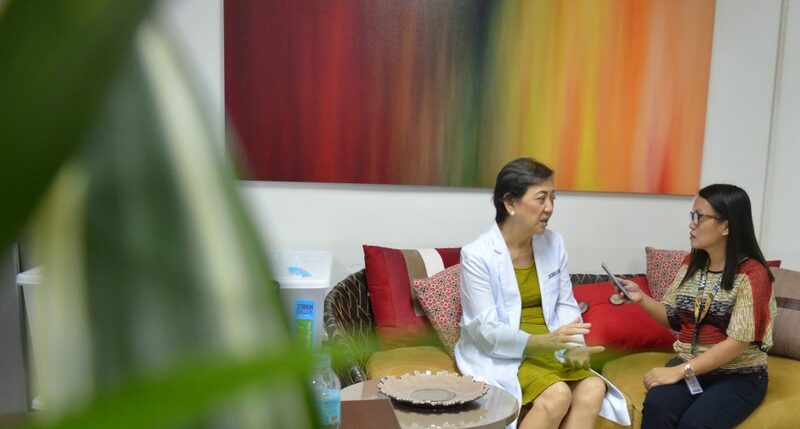 In a separate interview with the dynamic dean for the MHAM publications, she expressed her personal perspective with high hopes that the school will continue to aspire for excellence without having been distracted from other standing in medschool. “I am very happy to hear about the topnotchers and I am more than happy for the performance of batch ELIXIR. Thank you for listening and for making MHAM as the third top performing school. I am not claiming this significant achievement but I feel humbled because in the first place this is just my second term”, Dr. Manaloto said in an interview. Aiming for the Philippine Accrediting Association of Schools, Colleges and Universities (PAASCU) accreditition, the 58-year old Matias alumna who was officially installed for the deanship post in 2017 added that the school needs to have a good passing rate in the Physician Licensure Examination for four consecutive times as MHAM strives to become a PAASCU-accredited medical school as its main objective. Designated by the MHAM President and Chairman of the Board, Mrs. Elma Aznar Sierra, Dr. Manaloto accepted the seal of authority as the dean for the College of Medicine with a big heart during the symbolic turnover and installation ceremonies during the 67th Investiture and Commencement Exercises where two hundred nine (209) batch ELIXIR graduates witnessed her redefining moment on the new responsibility and commitment for her alma mater. Challenged to improve the national passing percentage and mentoring programs under her direction, today, Dr. Manaloto is not just known for her profound dedication and energy for the entire college, but her way to translate the mission righteously is characterized with transparency, sincerity and pure service without counting the cost especially those who knew her well. Furthermore, Dr. Manaloto reiterated that the implementation of the open admission with more humane approach and strict retention policy must be build up wherein students should have time to prepare for review prior to PLE. “Legally when they graduate, they are supposed to be ready already but unfortunately we haven’t reached that stage. But of course we cannot prevent them to take the board exam because it is their right and that is why I requested them to prepare first”, pointed out the MHAM college dean. 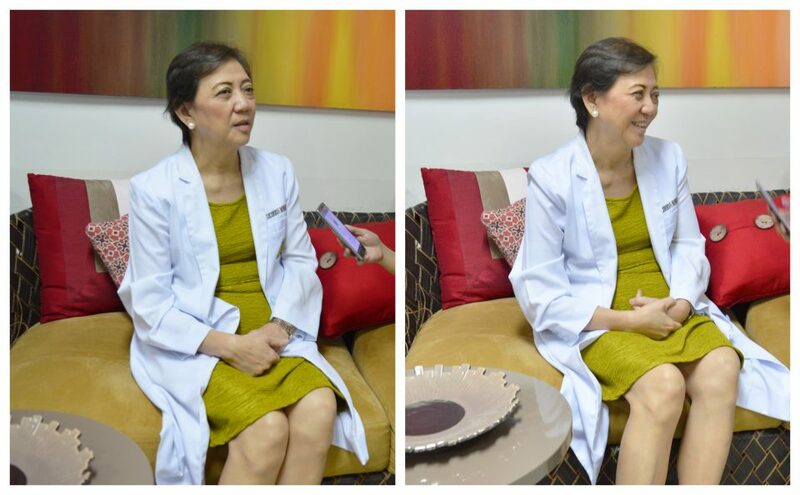 Having been employed in MHAM since October, 1995, Dr. Manaloto was one of the Matias graduates of class 1984 who then became the Chief of Clinics prior to her designation at present. A product of the University of San Carlos since grade school, she was also the consultant of the Department of Obstetrics and Gynecology of Cebu North General Hospital. 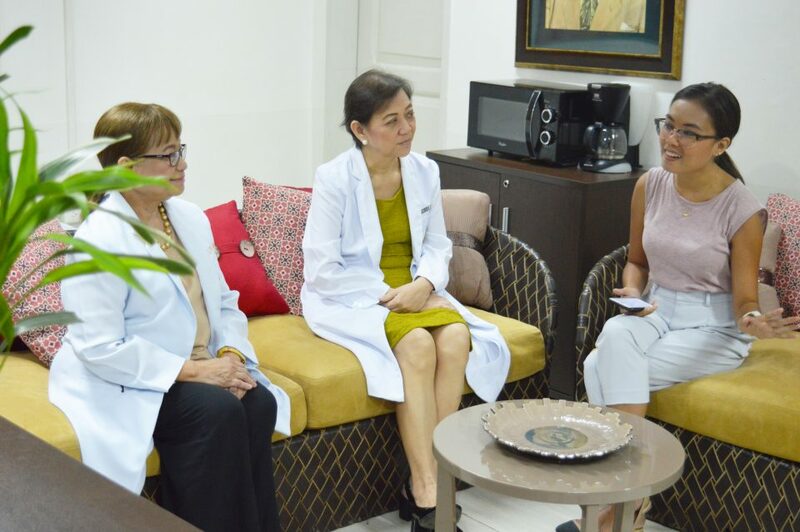 Lauded for her innate strength carried out in a humble yet vocal manner, the MHAM college dean disclosed that there is always a room for improvement for everything with the awareness and acceptance of some deficiencies that MHAM needs to improve to. Just as she started a meaningful change in just two years of her deanship, Dr. Manaloto encouraged the aspiring doctors and graduates to strive for a well-balanced medical life in order to survive in the field they have chosen. “In life, doctors have to be balanced because even if you attained the highest honor but if you don’t have the human factor in you, it is very difficult for you to survive in this field”, she concluded. Steered to bring out a redefining direction towards improvement and to move forward through the cooperation of the entire MHAM community, the college dean looks forward to witness her former students who will take the Hippocratic Oath as MHAM is set to host the oathtaking ceremonies for the new physicians from various institutions in Cebu City and other neighboring provinces. As per Commission Resolution No. 2010-547 series of 2010 of PRC, this year’s top performing schools including MHAM on the third rank have been based from fifty (50) examinees with at least 80% overall passing percentage. To date, MHAM has a total of 1,228 aspiring doctors of which 104 are foreign students for the academic year 2018-2019 with 412 first year, 262 second year, 299 third year and 255 fourth students, respectively. With a total of 192 full time and part time faculty members at present for the College of Medicine, MHAM has fifty-one (51) non-teaching employees and eleven (11) general services workers who also aimed to be motivated to do greater performance with the ability to create an ever-evolving working environment and to enhance the work ethics to heighten productivity and employee morale as one community. Inspired by the doctors of 2017 who reechoed their graduation song that says, ‘healing is our mission, caring is our dream and saving is our calling’, today, MHAM aspires to continually produce competent and compassionate MHAM mavens by shaping the future doctors’ medical journey with a heart.